When we talk about essential insurance cover for Perth businesses, public liability insurance has to be at the top of the list. This policy is designed to protect you financially if you cause damage to property or injury to a person as a result of your actions at work. So why is this cover so important? Today, we’re looking at the reasons why Perth businesses need to have public liability insurance in place. Although you might be careful in your business practices, you can’t plan for everything and sometimes the unexpected can happen. From a client slipping in your office to an employee inadvertently damaging client property on site, it’s so easy to find yourself on the receiving end of a liability claim. While all businesses should have a risk reduction strategy in place to reduce the likelihood of a claim, liability cover should form part of this strategy for your own peace of mind. If you’re found liable following a successful claim, you could be required to pay a significant amount of money to a third party. Just some of the costs you could be up for after a liability claim include medical bills, rehabilitation costs, repairs and replacements. Even if you’re found not liable for a claim, without liability cover you could also be left with expensive legal bills if you hired a lawyer during the process. Without liability insurance in place, the cost of a successful claim has the potential to cripple your business financially. Liability cover isn’t just about protecting you – it’s also about protecting your clients. Your clients need to be confident that if you cause damage while going about your business, you’ll have the financial resources to cover the costs if your business is liable. Liability insurance means that you can offer your clients peace of mind that you’ll be able to cover the costs of potentially expensive claims. Although for most businesses public liability insurance isn’t compulsory, many employers won’t be willing to take your business on for contracts without proof of liability cover and you won’t be allowed to enter some worksites without it. Even smaller, domestic clients will often want assurances that you have public liability in place. Whether you’re after a public liability insurance quote or simply have a few questions about your liability cover, the team at GSK Insurance Brokers can help. We’ll take the time to analyse your areas of risk so you have the right level of cover in place. For peace of mind, speak to one of our experienced brokers today. 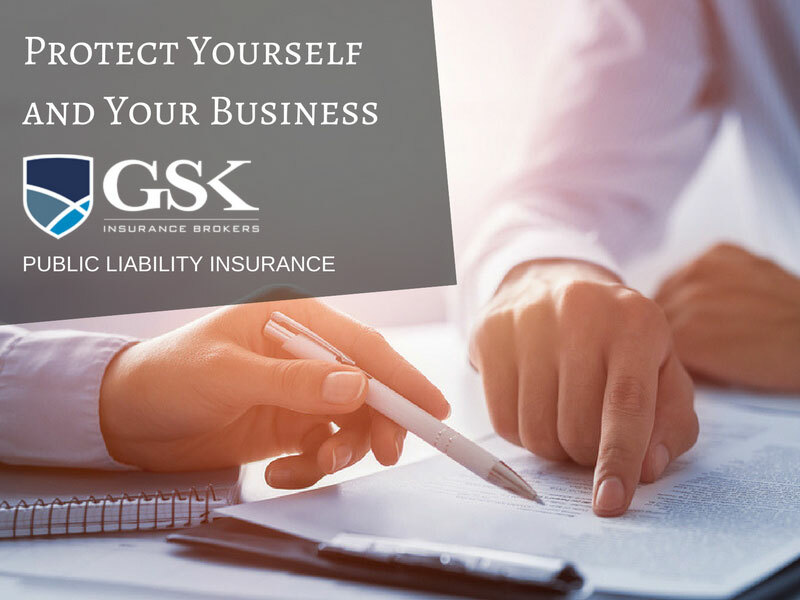 If you’re looking for more information about public liability insurance Australia, give us a call at GSK Insurance Brokers today on (08) 9478 1933. For a public liability insurance online quote, you can have a go at our handy trades quote calculator.